If these papers look familiar, it's because you saw a New Home card from me on Monday using the same Sweetness collection from Pink Paislee. Wishing you a wonderful, blessed day! 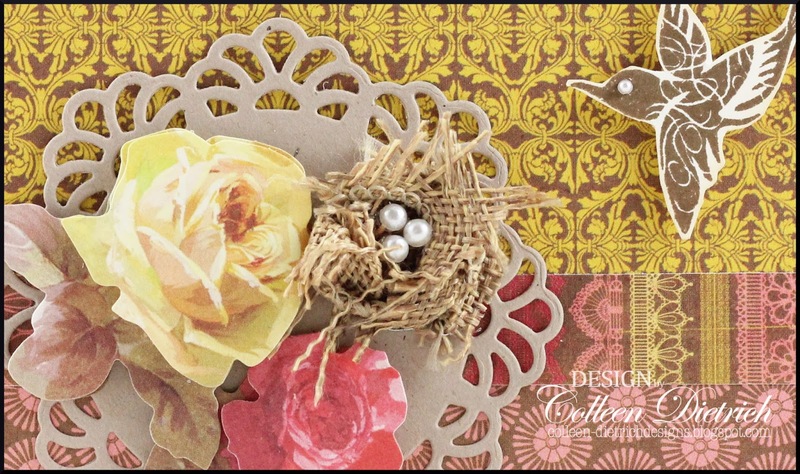 I am completely smitten with that darling little nest!! Lots of prettiness on this card Colleen, it's fabulous!! GORGEOUS! 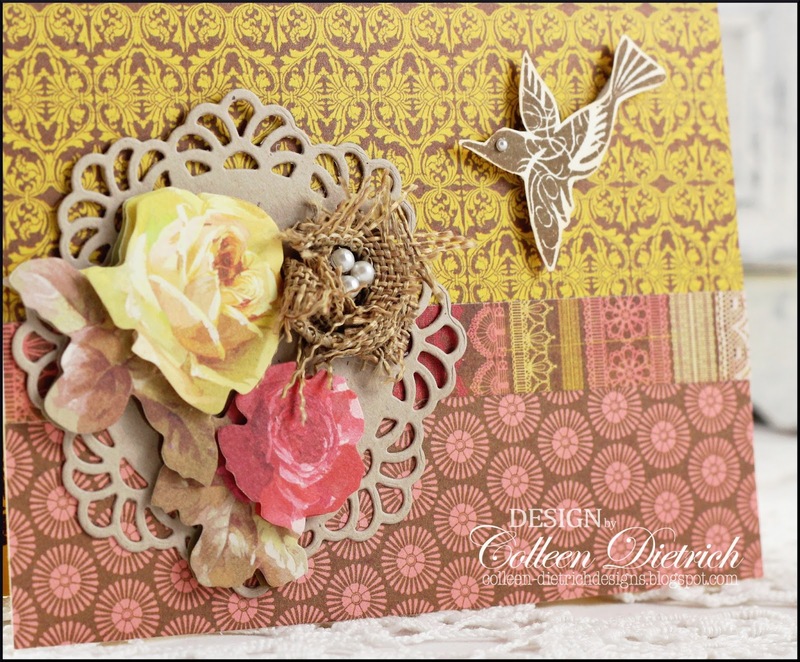 FAB papers and I LOVE the birdie and the nest with the flowers and the doily! MY kind of card! How cute that is with the little nest of pearl eggs! Love your very creative idea! 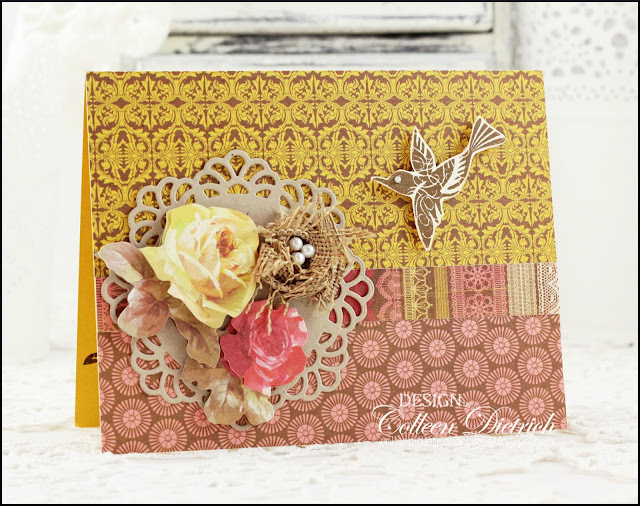 Beautiful, sweet card!